Actress and producer Princess Shyngle have angrily called out her boyfriend for ordering her to perform the duties of a wife. The actress rained insults on her partner for asking her to come and cook and clean for him as she doesn’t look like a maid or his mother who performs such duties. “Men are goats, some men are idiots, donkeys. So you came into my life and said you wanted to date me and I decided to give you a chance. You decided to buy me expensive gifts which I really appreciate. When people give you gift, you collect! Now oga thinks he has the right to be giving me commands and say I should be cooking continental dish, Gambian food and Nigerian food for him and his friends. I need to impress him. Are you mad, are you an idiot, do I look like your mother or househelp? You are an idiot. I am not coming to cook and impress any man, if you want me for me fine if not fu**k off” she angrily stated. 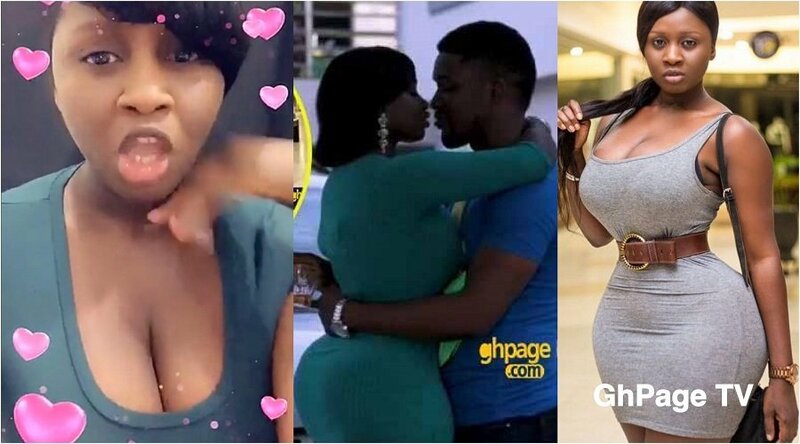 Princess Shyngle is popularly known for her ‘tapoli’ shaped waist and recently revealed that she removed five of her ribs to have the body shape she has now. It was also reported earlier that her boyfriend got her a brand new Brabus G-Wagon as a valentine’s day present and even promised to have birth triplets for her new partner. According to sources, the alleged boyfriend of Princess Shyngle is a Nigerian musician called Kevin Too Much. It seems the relationship is on rocky grounds currently following Princess Shyngle outburst directed to her ‘supposed’ boyfriend. The post Princess Shyngle blast boyfriend for asking her to cook and clean appeared first on GHANAPAGE™.